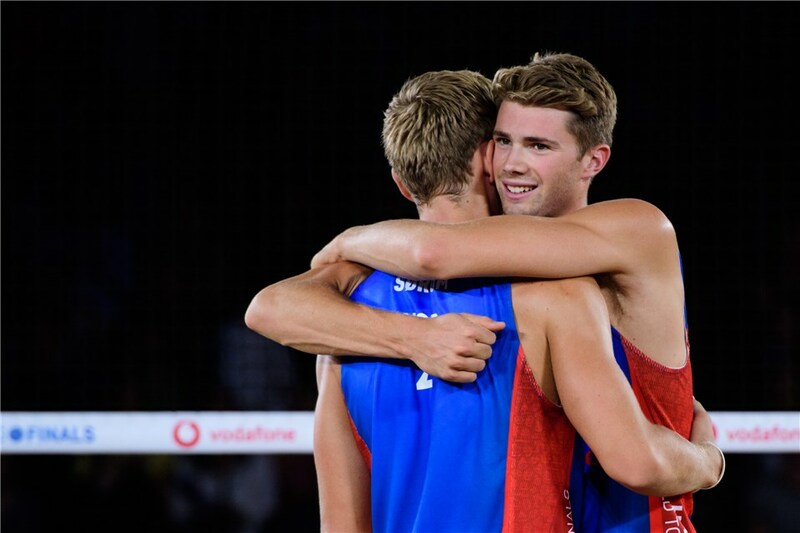 21-year old Norwegian beach volleyball player Anders Mol was named the 2018 FIVB World Tour Men’s Most Outstanding Player on Monday, part of a youth movement in the sport that saw 20-year old Brazilian Duda win the women’s award. Mol, playing with 22-year old Christian Sorum, won the series’ finale, the World Tour Finals, 2 weeks ago in Hamburg. The pair beat Poland’s Michal Bryl and Grzegorz Fijalek in a rare year with no Brazilians in the final 4 of the tournament. This marks the first time since the awards were first given ever where neither a Brazilian nor American won it (although in 2009, Dutch player Richard Schuil shared the award with Brazil’s Harley Marques). Besides the World Tour Finals, Mol and Sorum also won the GStaad Major and Vienna Major, meaning that they won 3 of the 4 biggest-money tour stops of the year: playing their best in the biggest tournaments. The pair took $283,500 in prize money in 2018, which was about $120,000 better than any other duo. Mol was also named the Best Blocker, Most Improved Player, and Best Offensive Player, while his teammate Sorum was named the Best Defensive Player. Awards are voted upon by players, referees, and FIVB officials. Duda also won Best Offensive Player and Best Hitter, while Agatha was named Most Inspirational and Sportsman of the Year. The American men and women were both completely shut out of this year’s awards. The top American pair, Phil Dalhausser and Nick Lucena, ranked just 10th as a team in total earnings, and no American men’s pairs played in the World Tour Finals.